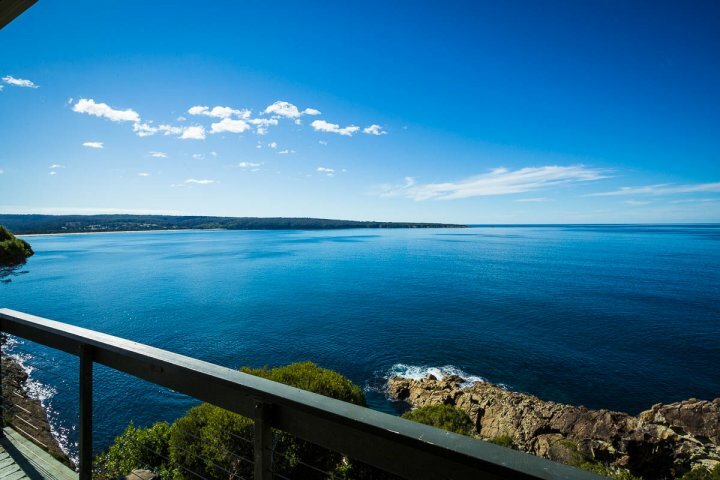 Awesome ocean and cliff views from these units. 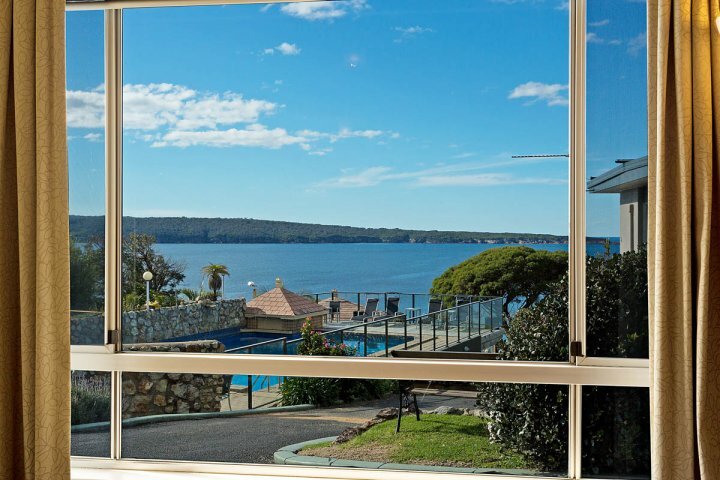 Eagle Heights Holiday Units are located in Eden on the far south coast of New South Wales. 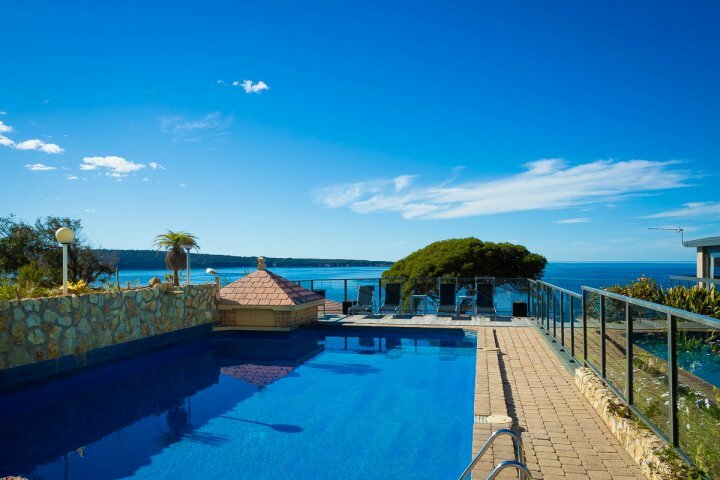 The complex is perched on a cliff-face, known as the Eagles Claw that overlooks Twofold Bay and the ocean. Eagle Heights is situated off the main highway in a quiet residential area. Sit, relax and enjoy the views in our two bedroom villa style units. 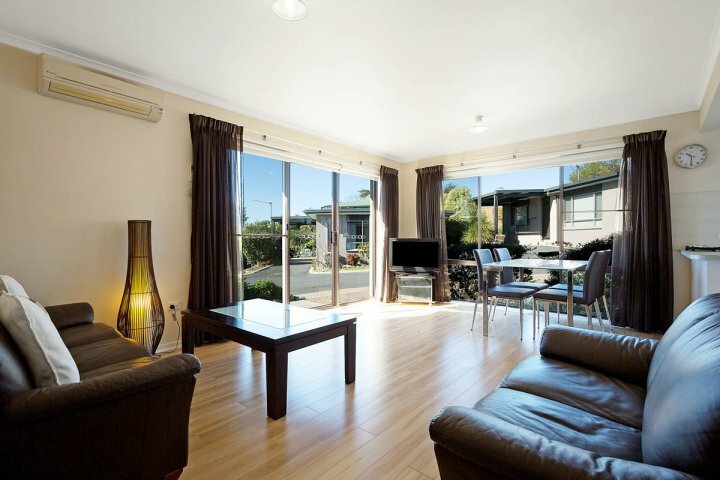 Eagle Heights Holiday Complex contains 10 self-contained, two bedroom units. There is a Queen bed in the main bedroom and two singles in the second bedroom. There is a large lounge/dining area, bathroom that includes washing machine and some units have clothes dryers. There is a separate toilet, flat screen TV, Austar, video player, CD player, clock radio to both bedrooms, reverse cycle air conditioning, hair dryer, bed linen and personal towel per person, electric blankets, pillows and blankets. Each unit is supplied with a starter kit of tea, coffee, milk, soap, toilet paper and kitchen detergent on your arrival. 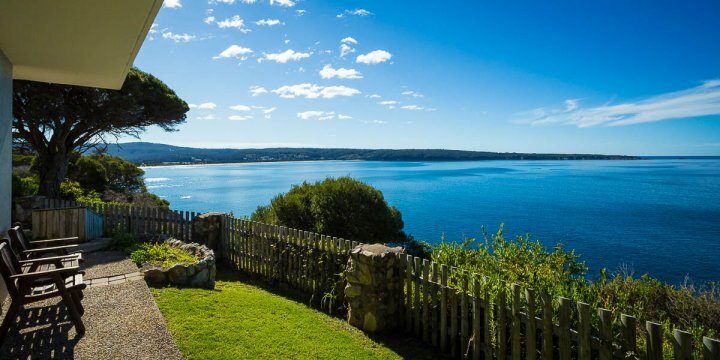 Let us show you why we believe Eden is the Sapphire Coasts' best kept secret. 1+ nights. Awesome views from this three bedroom apartment. The apartment has a balcony with ocean views. 1+ nights. Awesome views from these two bedroom units. Each has a balcony with views over the pool area and out to the ocean. Prices quoted are on a per couple basis i.e. 1 bed per couple. Extra charges apply for twin share. 1+ nights. Awesome views from these two bedroom units. Each has a balcony with views over the pool area and out to the ocean. Prices quoted are on a per couple basis i.e. 1 bed per couple. Extra charges apply for twin share. You are required to pay the full amount for your stay at time of booking. This is non-refundable. 1+ nights. Well appointed two bedroom unit with some views out to and over the ocean. Prices quoted are on a per couple basis i.e. 1 bed per couple. Extra charges apply for twin share accommodation. 1+ nights. Well appointed two bedroom unit with some views out to and over the ocean. Prices quoted are on a per couple basis i.e. 1 bed per couple. Extra charges apply for twin share accommodation. You are required to pay the full amount for your stay at time of booking. This is non-refundable. 1+ nights. 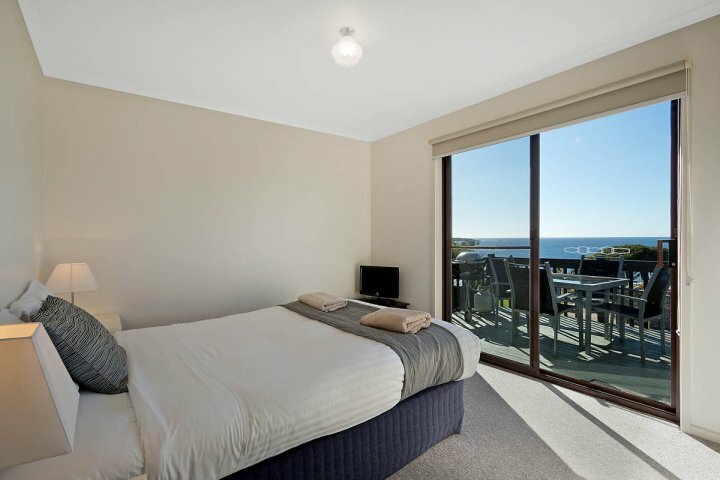 2 Bedroom self contained units with absolute ocean views from Lounge/Dining, Kitchen and main bedroom. 1 Queen bed and 2 single beds. Prices quoted are on a per couple basis i.e. 1 bed per couple. Extra charges apply for twin share accommodation. 1+ nights. 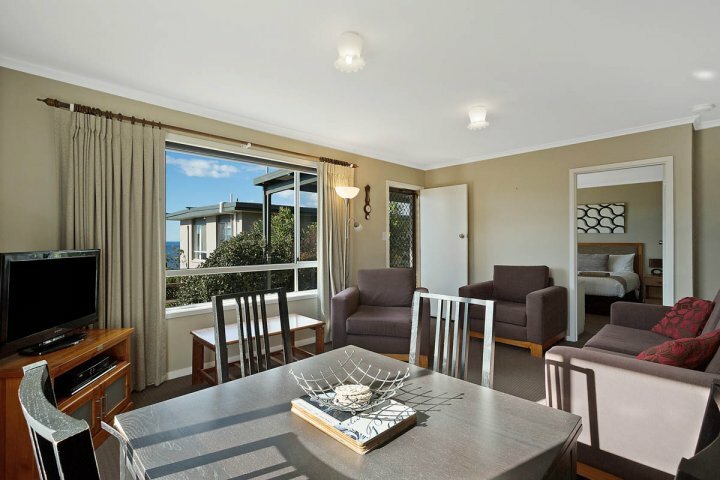 2 Bedroom self contained units with absolute ocean views from Lounge/Dining, Kitchen and main bedroom. 1 Queen bed and 2 single beds. Prices quoted are on a per couple basis i.e. 1 bed per couple. Extra charges apply for twin share accommodation. You are required to pay the full amount for your stay at time of booking. This is non-refundable. Great views from these well appointed two bedroom units plus the advantage of your own carport. Prices quoted are on a per couple basis i.e. 1 bed per couple. Extra charges apply for twin share accommodation. Great views from these well appointed two bedroom units plus the advantage of your own carport. Prices quoted are on a per couple basis i.e. 1 bed per couple. Extra charges apply for twin share accommodation. You are required to pay the full amount for your stay at time of booking. This is non-refundable. 3+ nights. Awesome views from this three bedroom apartment. The apartment has a balcony with ocean views. 3+ Nights. Awesome views from these two bedroom units. Each has a balcony with views over the pool area and out to the ocean. Prices quoted are on a per couple basis i.e. 1 bed per couple. Extra charges apply for twin share. Minimum stay 3 nights. Lovely well appointed two bedroom unit with some views out to and over the ocean. Prices quoted are on a per couple basis i.e. 1 bed per couple. Extra charges apply for twin share accommodation. Minimum stay 3 nights. 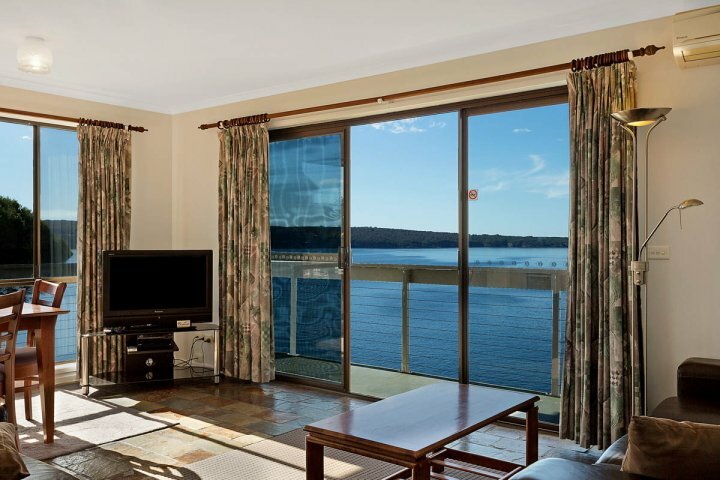 2 Bedroom self contained units with absolute ocean views. Lounge/Dining, Kitchen and main bedroom. 1 Queen bed and 2 single beds. Prices quoted are on a per couple basis i.e. 1 bed per couple. Extra charges apply for twin share accommodation. Minimum stay 3+ nights. Great views from these well appointed two bedroom units plus the advantage of your own carport. Prices quoted are on a per couple basis i.e. 1 bed per couple. Extra charges apply for twin share accommodation. 5+ nights. Awesome views from this three bedroom apartment. The apartment has a balcony with ocean views. 7+ nights. Awesome views from this three bedroom apartment. The apartment has a balcony with ocean views. Minimum 7 night stay. Awesome views from these two bedroom units. Each has a balcony with views over the pool area and out to the ocean. Prices quoted are on a per couple basis i.e. 1 bed per couple. Extra charges apply for twin share. Minimum 7 night stay. Awesome views from these two bedroom units. Each has a balcony with views over the pool area and out to the ocean. Prices quoted are on a per couple basis i.e. 1 bed per couple. Extra charges apply for twin share. Flexi Rate You will be required to pay 30% non refundable deposit at time of booking with the balance due on check in day. If cancelled less than 3 days prior to arrival, 100% of the total amount will be forfeited. There will be a $50 fee for all cancellations and $25 fee for all modifications. Christmas/January/Easter Flexi Rate You will be required to pay 30% non refundable deposit at time of booking. For Easter bookings, the balance is due 1 month prior to arrival and for Christmas bookings (24th Dec to 26th Jan) the balance is due on the 1st December. There will be a $50 fee for all cancellations and $25 fee for all modifications. Minimum stay 7 nights. 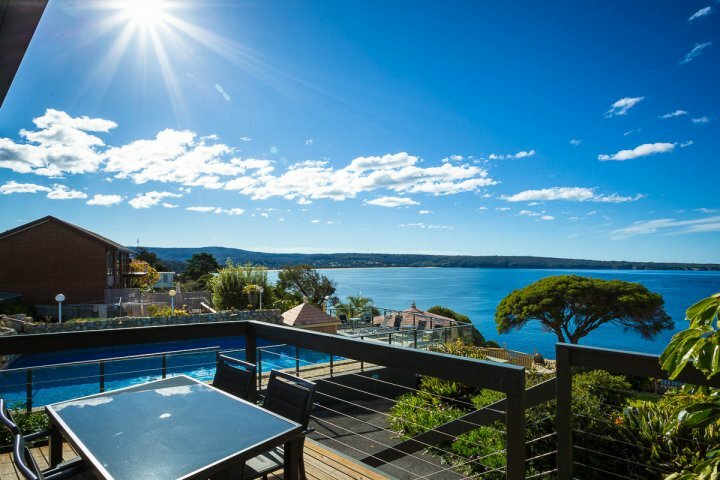 Lovely well appointed two bedroom unit with some views out to and over the ocean. Prices quoted are on a per couple basis i.e. 1 bed per couple. Extra charges apply for twin share accommodation. Minimum stay 7 nights. Lovely well appointed two bedroom unit with some views out to and over the ocean. Prices quoted are on a per couple basis i.e. 1 bed per couple. Extra charges apply for twin share accommodation. Flexi Rate You will be required to pay 30% non refundable deposit at time of booking with the balance due on check in day. If cancelled less than 3 days prior to arrival, 100% of the total amount will be forfeited. There will be a $50 fee for all cancellations and $25 fee for all modifications. Christmas/January/Easter Flexi Rate You will be required to pay 30% non refundable deposit at time of booking. For Easter bookings, the balance is due 1 month prior to arrival and for Christmas bookings (24th Dec to 26th Jan) the balance is due on the 1st December. There will be a $50 fee for all cancellations and $25 fee for all modifications. Minimum stay 7 nights. 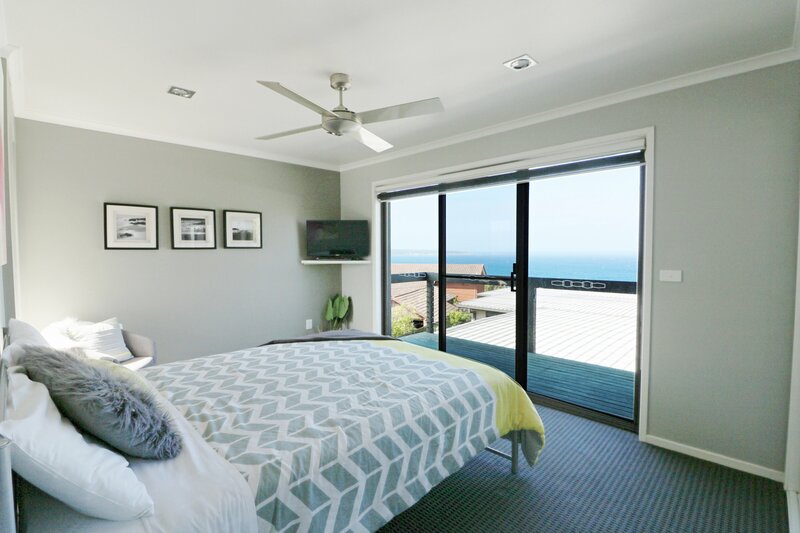 2 Bedroom self contained units with absolute ocean views. Lounge/Dining, Kitchen and main bedroom. 1 Queen bed and 2 single beds. Prices quoted are on a per couple basis i.e. 1 bed per couple. Extra charges apply for twin share accommodation. Minimum stay 7 nights. 2 Bedroom self contained units with absolute ocean views. Lounge/Dining, Kitchen and main bedroom. 1 Queen bed and 2 single beds. Prices quoted are on a per couple basis i.e. 1 bed per couple. Extra charges apply for twin share accommodation. Flexi Rate You will be required to pay 30% non refundable deposit at time of booking with the balance due on check in day. If cancelled less than 3 days prior to arrival, 100% of the total amount will be forfeited. There will be a $50 fee for all cancellations and $25 fee for all modifications. Christmas/January/Easter Flexi Rate You will be required to pay 30% non refundable deposit at time of booking. For Easter bookings, the balance is due 1 month prior to arrival and for Christmas bookings (24th Dec to 26th Jan) the balance is due on the 1st December. There will be a $50 fee for all cancellations and $25 fee for all modifications. Minimum stay 7 nights. Great views from these well appointed two bedroom units plus the advantage of your own carport. Prices quoted are on a per couple basis i.e. 1 bed per couple. Extra charges apply for twin share accommodation. Minimum stay 7 nights. Great views from these well appointed two bedroom units plus the advantage of your own carport. Prices quoted are on a per couple basis i.e. 1 bed per couple. Extra charges apply for twin share accommodation. Flexi Rate You will be required to pay 30% non refundable deposit at time of booking with the balance due on check in day. If cancelled less than 3 days prior to arrival, 100% of the total amount will be forfeited. There will be a $50 fee for all cancellations and $25 fee for all modifications. Christmas/January/Easter Flexi Rate You will be required to pay 30% non refundable deposit at time of booking. For Easter bookings, the balance is due 1 month prior to arrival and for Christmas bookings (24th Dec to 26th Jan) the balance is due on the 1st December. There will be a $50 fee for all cancellations and $25 fee for all modifications. From the Princes Highway drive into Imlay Street, follow this through to the whale museum and veer left going towards Eden wharf. Just past the wharf buildings turn left into Weecoon Street, which runs into Yule Street. The property is on the left hand side mid way into Yule Street.